Posted a new mix tonight. 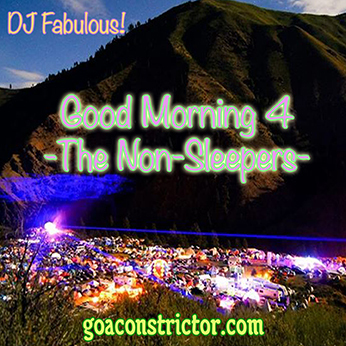 The 4th installment in the ongoing Good Morning! series of mixes. If you’re at all like me—and the countless others who sometimes forget when a night ends and the next day begins—you may appreciate this mix. Click on the above image to read more and download the mix!